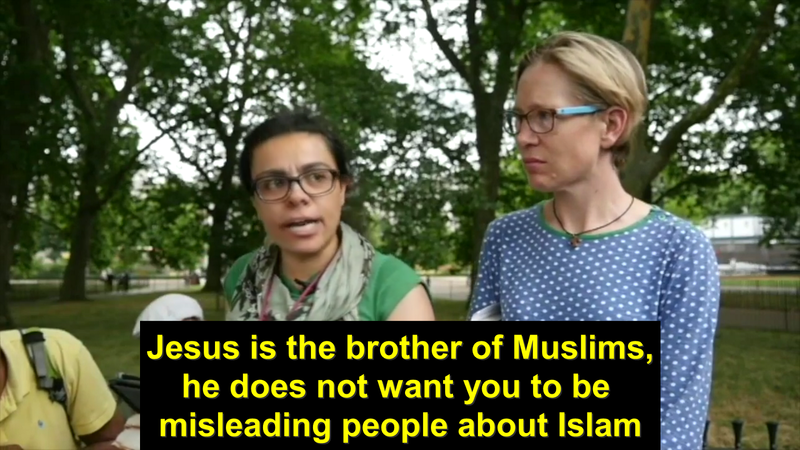 Lizzie Schofield and Hatun Tash of DCCI Ministries claimed Muslims curse Jews and Christians in prayer 17 times a day. This is simply anti-Muslim propaganda. Surah Fatiha does not contain a curse, this seems to be intellectually dishonest evangelical propaganda picked up from Jay Smith. Here’s a short response via video to Lizzie and Hatun, hopefully they will learn from this. Jay really has a lot of explaining to do. He should know he does not honour his prophet Paul of Tarsus with such tactics. Right, let’s swiftly put this this polemic to bed and highlight gross inconsistency and what appears to beintellectual dishonesty. Polemicists like Jay Smith and Pastor Tony Costa claim Surah Al Fatiha (the chapter in the Quran) is a prayer cursing Jews and Christians. They claim the last Verse of the Quran is a curse on the Jews and the Christian. This is not true at all — read it for yourself. Anybody with scintilla of comprehension and fairness can see that it is not a curse. A curse is when one prays for bad to fall upon a person: Muslims are not asking for God to be angry with Jews and Christians here! Pastor Tony Costa states he finds this “disconcerting” as he shockingly styles the prayer in Surah Al Fateha as “systemic cursing of Jews and Christians” that “vilify Jews and Christians” [Timeframe 5.50] whilst Jay Smith’s team spin it as “the cursing prayer”! Tony Costa, if consistent, would find Paul’s words in Galatians to be “disconcerting” and a “systemic cursing of Jews” which “vilify” Muslims, Jews, Athests, Hindus, Sikhs, etc. Perhaps Tony forgets what he writes in his academic work when he is in the company of polemicists against Islam? From this example, it seems, he totally forgets academic standards, intellectual integrity, fairness and comprehension skills when he puts his anti-Islam hat on. Originally published at thefactsaboutislam.blogspot.com on July 30, 2017.